Buy on Itunes here / Buy on Amazon here. Listen to album on Spotify here. 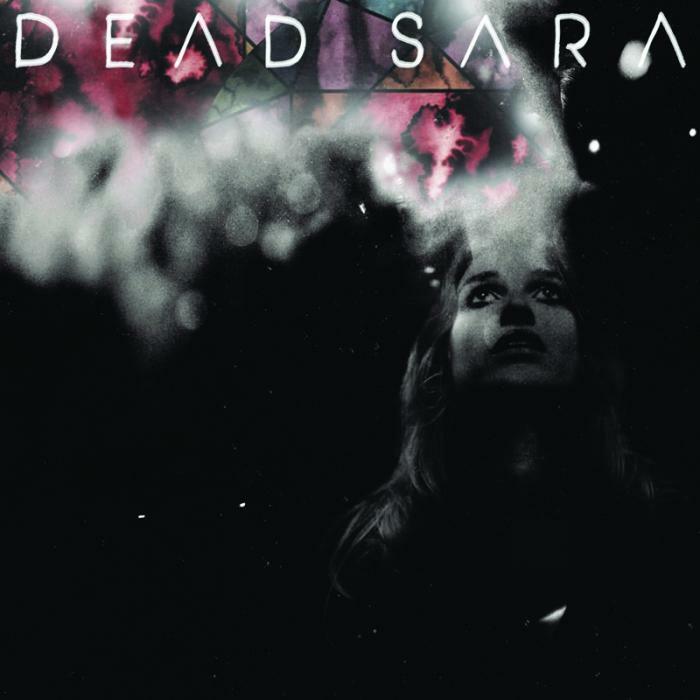 Dead Sara have rock encrypted so deep in their DNA that their music will make any rock fan do an instant double-take. Their self-titled album is the most impressive debut I have heard in years. Dead Sara are self-proclaimed children of the Warp Tour. Hailing from LA, they have integrated west-coast punk, LA Hard Rock and Grunge into their technique, then taken it to a whole other level. They are up there with RATM for their riff-fu (they’ve covered Killing in the Name Of and Nirvana’s Heart Shaped Box during live shows). And they have a secret weapon: vocalist Emily Armstrong, the most exciting front-woman since PJ Harvey. She can scream and sing with both ground-shaking energy and an incredible sense of melody. She can out-roar L7 and impeccably jump an octave. At the same time. She is undeniably the driving force. The quality of the singing actually reminds me of Silverchair (remember them? ), or Bush, with who, unsurprisingly, Dead Sara toured a couple of years ago. When I heard Weatherman, my heart starting pumping like the first time I listened to Rage Against The Machine. I just sat there head-banging for twenty minutes playing it in a loop. The whole album, however, has everything from punky ballads to the heaviest grunge riffs. It’s like a map of West Coast rock genres in forty-five minutes. Surprisingly, it is produced by Joan Shain. You would expect a rock veteran like Ross Robinson to be behind the desk, but it’s the guy who made Skrillex’s sound famous who produced this. I must say he found the right balance between technique and grunge saturation. Although I sometimes find the drums a bit discrete in the mix, he did a great job of putting Armstrong’s voice forward. Opening the album is Whispers and Ashes, a power-ballad by the book, complete with a loud snare straight out of the eighties. We Are What You Say also sounds familiar, a pop-punk inspired tune that is not really my thing, but I have no doubt it’s a hit with the kids. Weatherman was the obvious single, an instant classic. It’s an unstoppable bulldozer of a track, catchy, straight from the guts. I Said You Were Lucky and Lemon Scent are close contenders, especially the latter. It’s the perfect FM hard-rock anthem, with a bridge that could have been written by the Foo Fighters. But Monumental Holiday surpasses them both in energy. It’s less radio-friendly, too raw for a single, yet probably the best track on the album. The most interesting track, I find, is Test on My Patience: not only for it’s insane tempo, but because it’s a perfect showcase for the band’s versatility, from an upbeat melodic intro (that sounds almost like a celtic folk melody) to a low four-to-the-floor pounding beat and into a full-out hard-rock chorus. It’s the one track that makes them really stand out of Nirvana’s shadow, in my opinion. No wonder Courtney Love asked Armstrong to sing backing vocals on Nobody’s Daughter. You can’t deny her instinct for finding talent. Dead Sara have the reputation as a great live band, and it is surely the quality of their live shows that has propelled them so fast to the top. If they can keep on writing albums of this calibre, they will undoubtedly be one of the biggest rock bands of this decade. I’m quite excited to see where they go in the coming months. And If you’re looking for me, I’ll be front row in the mosh pit, ruining my cervicals and singing myself hoarse. Tagged Dead Sara, grunge, hard rock, punk, review, rock. Great review!! Would be interested in what you think about the new record, Pleasure To Meet You, which was released earlier this week. Believe it or not, it may be even better than their first record. Anyway, give it a listen and maybe you can write a review!! Thank you!!! Thanks Lisa. I can believe it, I expect great things of the new album. Would love to do a remix too. Been thinking of remixing Weatherman or Test on My Patience for a while now. Watch this space for a review of the new album then ! And I hope they play in Oslo this year.